« Can we retire the phrase “cheap grace”? I’m going to spend a few podcast episodes talking about the Bible’s most famous verse, John 3:16. In this episode I only scratch the surface! But I talk about why this verse isn’t just for “beginners” or “baby Christians” or people who haven’t yet become Christians. It’s for all of us! Hi, This is Brent White! 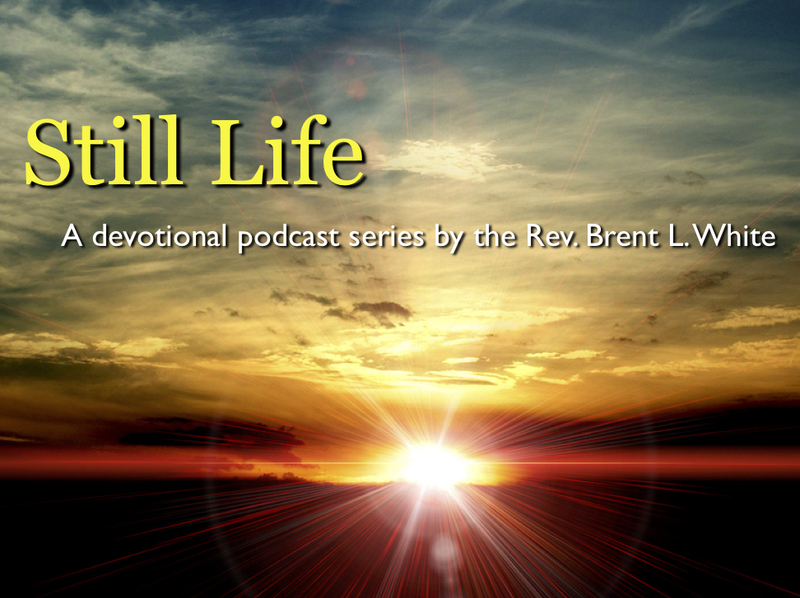 It’s Tuesday, March 13, and this is devotional podcast number 21. You’re listening to “Don’t Bring Me Down,” a Top 5 hit song for the Electric Light Orchestra in 1979. I recorded this from their 1979 album, Discovery. And I thought of this song because I’m going to be talking about a subject that is considered to be a downer, at least among most people: It is a downer that we are helpless sinners, that we deserve God’s wrath, and that, apart from a miraculous intervention of God, we are bound for hell. And I’m going to talk about this downer of a subject as it relates to the most popular verse in the Bible, which is John 3:16. And this may surprise you, because it doesn’t seem like a downer at all. People love this verse! 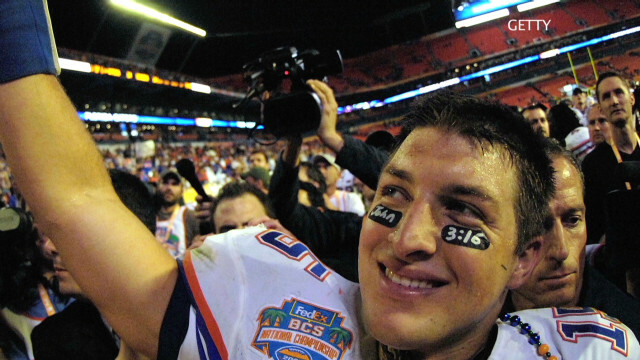 If you go to a major sporting event, you might see a sign or banner hanging from upper deck guard rails that reads “John 3:16.” Quarterback and Heisman winner Tim Tebow famously wrote “John 3:16” in his eye black when he and his team won the 2009 National Championship. Professional wrestler “Stone Cold” Steve Austin and his fans often wore apparel emblazoned with the slogan “Austin 3:16.” (I’m not sure why, come to think of it, but he’s referring to this verse.) If you go to the famous West Coast fast-food chain, In-N-Out Burger, and look at the bottom of their soft drink cups, you will see “John 3:16” printed in small letters on the inside rim. When Christians display the words “John 3:16,” it’s as if they’re saying, “This is all you need to know.” And I hardly disagree with them! If John 3:16 isn’t the most important verse in the Bible, it is at least, in my opinion, the one verse that best summarizes the gospel message—if not the entire Bible. The verse’s fame is well-earned. I have so much I want to say about this one verse! So I’m going to spend the next few podcasts talking about it—reflecting on some of the key words in verse. But before I get into it, I want to clear up a misunderstanding about this verse, which is this: that John 3:16 is a Bible verse for beginners—for baby Christians or, especially, for those who aren’t yet Christians at all; that John 3:16 is something that we need to hear before we’re converted, before we believe in Jesus as a our Savior and Lord. And then after we’re converted, after we are justified—that is, after God forgives us of all our sins, after God imputes Christ’s righteousness to us, and after God gives us new birth by the Holy Spirit—then John 3:16 is something we can sort of leave in our past. Sure, it becomes a pleasant reminder of what God has done for us in the past. But we ourselves—having understood already how much God loves us and what he did for us through Jesus to give us eternal life—we don’t really need it anymore. John 3:16 is something for other people; not for us. This attitude is especially prevalent among the Christians that I know best—the ones who are called Methodists. We Methodists like to focus on the doctrine of sanctification… sanctification is what the Holy Spirit does in the believer’s life after he or she comes to saving faith in Christ. The Holy Spirit begins changing us from within, giving us power to resist and overcome sin, giving us power to love God and neighbor more completely, giving us power to become holy people. That’s sanctification—and again, Methodists place a strong emphasis on this doctrine. It’s not for nothing that the Holiness movement in the 19th century came out of the Methodist Church. And then Pentecostalism developed from there. Because from the beginning we Methodists have emphasized the transforming work of the Holy Spirit in the believer’s life. And it begins with our doctrine of sanctification. However… without contradicting anything I just said, without denigrating the doctrine of sanctification, without denying for a moment the power of the Holy Spirit to change us from within and work in powerfully in lives of believers… let me add this one important qualification: None of us… not a single Christian alive right now… will become so holy in this life that we won’t need to be reminded—constantly—that we are justified—in other words, we are helpless sinners who, apart from the atoning work of God’s Son Jesus on the cross, deserve God’s wrath—that apart from Christ we would be bound for hell—that it’s always only because of Christ that any of us is ever saved. But, you might say, “Don’t bring me down, Pastor Brent!” All this emphasis on sin, on God’s wrath, on hell. Who needs it? Well… I do! Because I need to constantly remind myself of who I am as a sinner and of the lengths to which God has gone to save me—out of love! This may sound strange to some of us, but Nicodemus, the credentialed Bible scholar to whom Jesus is directing these words—he would have understood exactly what Jesus was referring to. The “snake” part of the story comes next, but I’ll save that for the next podcast. This hits close to home with me. As an ordained elder in the United Methodist Church I am an itinerant pastor. That means each year I either get reappointed to my existing church—or I get appointed to another church. I’ve been at Hampton United Methodist for five years. And this June I will be packing up my family and moving somewhere else. Only… I don’t know where yet. And this transition time fills me with apprehension and dread. Why? Because I’m worried about my career. Am I getting ahead? Or am I falling behind? Will my next appointment be good for my career, or not? Will it look good in the eyes of friends and acquaintances? Will it look good in the eyes of my fellow clergy? Will it impress people? I’m going to 30-year class reunion, God willing, in late June. Will my next appointment “measure up” in the eyes of my classmates? I ask these questions because, over these past few weeks of uncertainty, I’ve realized something about myself: I need to feel good about my career in order to feel good about myself! God help me, it’s true! I need my career to justify me. I need my career to save me—at least a little bit! Not completely, of course. I mean, I know I need Jesus for eternal life. This sinful, idolatrous, selfish ambition I feel for my career… it’s my own personal Egypt. Maybe you have a personal Egypt, too? What is it that you want instead of what God wants to give you? Whatever that is, maybe that’s your Egypt? So what’s the solution to this crisis? Even though I have been a Christian for 34 years now, the solution is this: I need to hear John 3:16 again! Because if that verse is true, it means that I don’t need something like a career, or any other person, place, or thing to feel good about myself! What I need is this: “For God so loved the world, a sinful world, including me within it. He loved me so much that he gave his only begotten Son. God gave his Son—this was an undeserved gift of God’s mercy; he didn’t need to give this gift. I didn’t deserve for him to do it; I didn’t earn it; I can’t begin to pay for it, but he gave it anyway. And why did he give the gift of his Son? So that whosever believeth in him—“whosoever” is a singular word, not plural. “Whosoever” means that I am eligible for this gift of eternal life. It means that this gift doesn’t get more personal than that. Think about it: God the Son came into the world to rescue me. So that I will not perish. In other words, I do not get the godforsaken death, the judgment, wrath of God, and the hell that I deserve. Instead, I’ll have everlasting life. Or eternal life, as the modern translations put it. This isn’t just life that never ends, although it includes that. It’s a quality of life that we may possess now—when we entrust our lives to Christ. But this gift of eternal life also means this: I am infinitely valuable to God. Why? Because God paid an infinite price—the very life of his Son on a cross—so that I could be part of his family forever. So that I could be with him forever. God didn’t want to lose me because he loved me that much! Can you believe it? Yet somehow… somehow… I think I need a certain kind of job to feel good about myself? What is wrong with me? Needless to say, I have not outgrown John 3:16. Not at all. And I’ll bet you haven’t either. I’ll continue this discussion next time. This entry was posted on	March 13, 2018 at 11:21 pm	and is filed under Uncategorized.